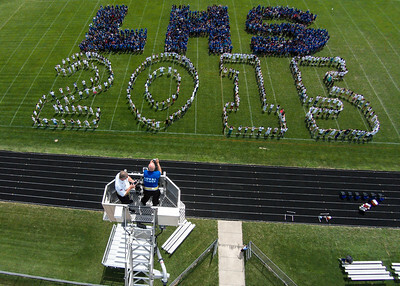 Larkin High School teacher George Kalousek had an idea. 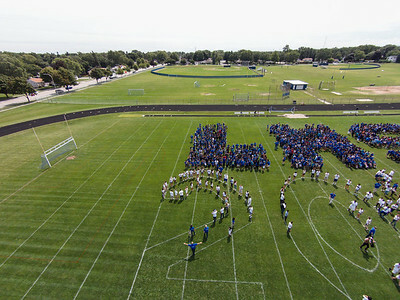 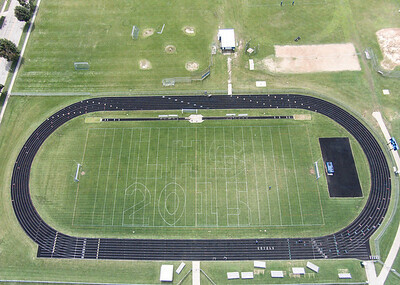 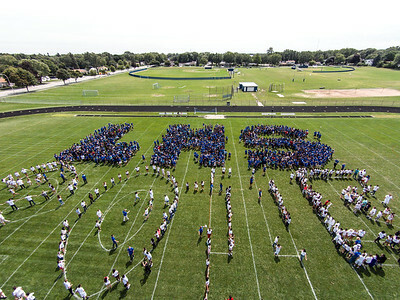 He wanted to make the Larkin "LHS" on the football field, using students. 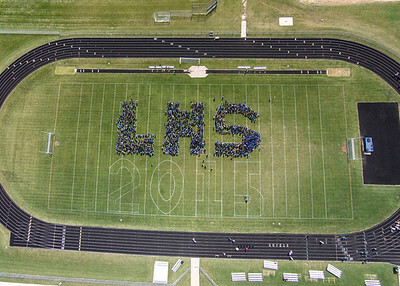 Then it was expanded to LHS with 2015 on the bottom! 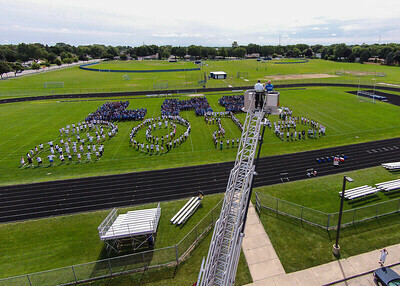 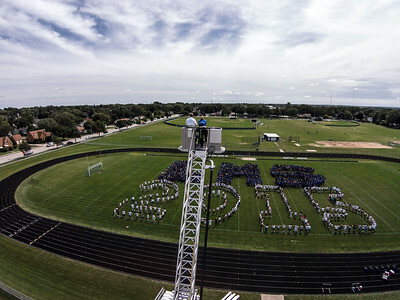 This took a lot of students and with the help of Larkin Staff, the Elgin Fire Department and Elginet Media, I think we made this something for the yearbook! 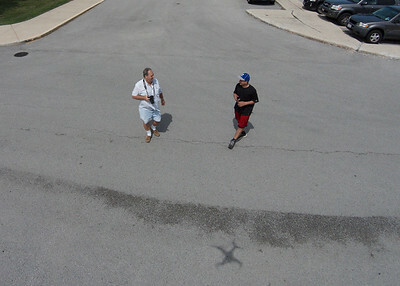 Video will be up shortly!